Before you can make your way to the Roman Agora, you need to first travel to Athens, Greece. 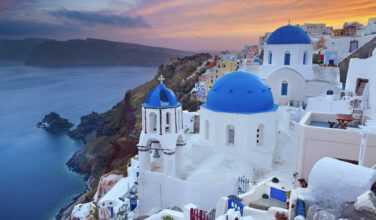 As the capital of Greece, there are plenty of options for arriving here. 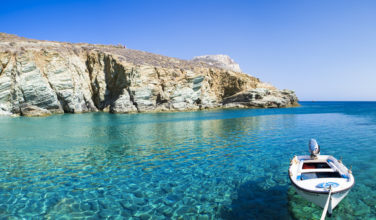 You can certainly drive here from other parts of Greece or Europe. It is also possible to fly into the international airport. Since it is such a large airport flights come into here from all over the world. 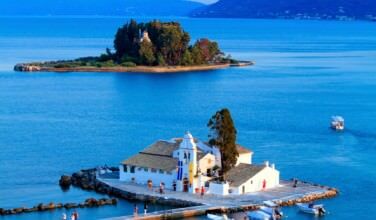 You can also take a ferry from elsewhere in Greece and then take a bus or taxi from the ferry port. The Roman Agora is located in the Monastiraki neighborhood of the city so you can access it by public transportation, taxi, or even on foot depending on where in Athens you are staying. The Roman Agora is actually located on the Acropolis on the northern-most side. The Acropolis itself had already had buildings on it from other eras, including the Parthenon. While the Romans were in the city, they added their own agora, or marketplace. This was once a hub of activity for the Ancient Romans. Unlike the Greek Agora, the Ancient Romans actually used it as a market. It appears as if the Athenian Agora, which is also on the Acropolis, was used mostly as a political gathering. 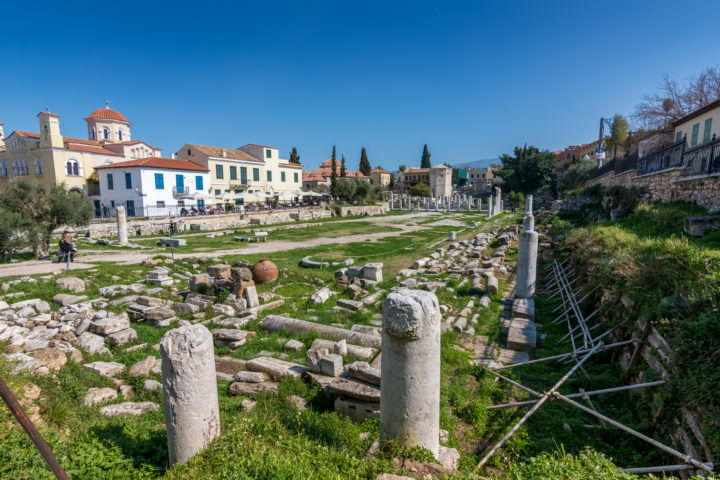 Archaeological evidence has suggested that the Roman Agora was a market with actual shops. It is known to have had several entrances. One was on the western side – this was the main entrance. There is also a small entrance on the southernmost side. There was an open courtyard, and it appears as if the shops were on the eastern side. There was also a fountain. Although you can easily visit the Roman Agora on its own, it also makes sense to include it while also spending time at the Acropolis as a whole. 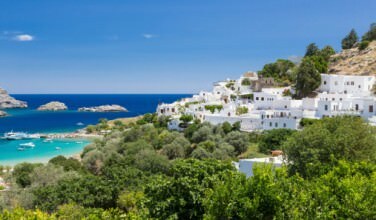 It is located close to the Monastiraki metro stop, so if you plan to visit the agora you have the option of taking public transportation from other parts of Athens and in the surrounding villages. This is also a common stop on tours that include the Acropolis. If you want to learn specifically about the Roman Agora, you should make sure that the guided tour that you choose does include it. Otherwise, you can head to the agora by yourself and take pictures and take it all in. The right tour, however, will bring the whole area to life. While in Athens, you should take the time to visit the Roman Agora.